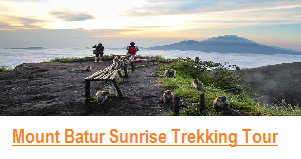 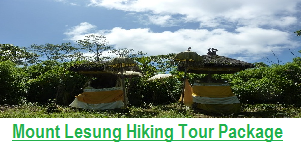 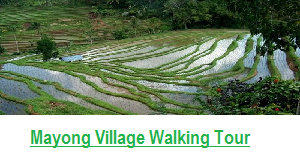 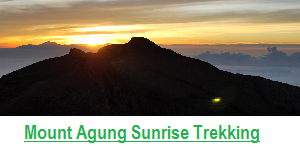 We are pleased to recommend you if you would like to explore the Bali Sunrise Trekking Tours, volcano hike bali , bali volcano trekking, bali volcano tour, the best place is Mount Batur which is you can enyoy an unforgettable experience of Sunrise from the Top of an Active Volcano in Bali.Spectacular scenery and the vibration of the sacred earth filling your mind and soul as u served by tasty morning breakfast cooked by the steam of the active volcano. 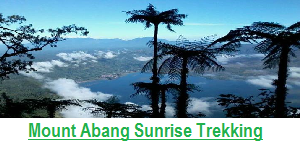 This trek is Recommend for Youger People or The real Hiker because you will need very good power for 4 hours climb the Mountain, and the road also little bit extreme. 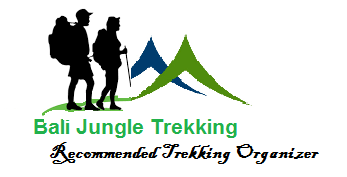 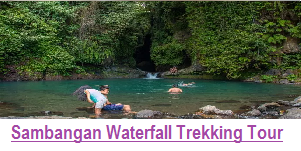 We would like to suggest you also to Bring Just Hiking Shoes, Long Pant, Jacket, and Camera, you don’t need to bring Valuable things, should you want to give little Tip to Local guide after the trek you can just bring Little Money.